I haven’t done this in previous years, but since becoming more involved in the SF/F community (and because people have asked — thanks people! ), here is a list of things I published & edited in 2016 when nomination season comes around for the Hugos. I’m saying right off that I do not qualify for Best Editor for Long, simply because I haven’t have enough novels published this year, and I don’t qualify under Short, which applies to anthologies and magazines. But I will add that if you enjoyed any of the works by authors I have worked with, it would certainly not be amiss to support them! 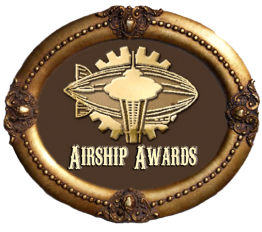 On Crafting a Subcultural Lifestyle: Objects and the Search for Home in Steampunk – A 4-part series that was my contribution to Steampunk Hands Around the World for this year. “Punking the Other: On the Performance of Racial and National Identities in Steampunk” in Like Clockwork: Steampunk Past, Presents and Futures. Does a renewed world still have a place for those who only know how to destroy? While defending a tea-growing commune in the wilds of the Pacific Northwest, one person seeks an answer. Egypt, 1912. In an alternate Cairo infused with the otherworldly, the Ministry of Alchemy, Enchantments and Supernatural Entities investigate disturbances between the mortal and the (possibly) divine. What starts off as an odd suicide case for Special Investigator Fatma el-Sha’arawi leads her through the city’s underbelly as she encounters rampaging ghouls, saucy assassins, clockwork angels, and plot that could unravel time itself, in P. Djèlí Clark’s Tor.Com Original, A Dead Djinn in Cairo. Anglet Sutonga is more realistic than most teenagers, but still dreams of rising above the impoverished streets of Bar-Selehm. When an opportunity comes along, will she take it? And what does she risk in order not to throw away her shot? A novelette set before the events of A.J. Hartley’s Steeplejack. In a cyber-enhanced, futuristic Chicago, Sonata knows near-immortality is achievable through downloading her mind into a cyborg body after death. But this young artist wants to prove that living forever isn’t the same as living a beautiful life. The Three Lives of Sonata James, a Tor.com Original from science fiction author Lettie Prell. Seventeen-year-old Anglet Sutonga lives repairing the chimneys, towers, and spires of the city of Bar-Selehm. Dramatically different communities live and work alongside each other. The white Feldish command the nation’s higher echelons of society. The native Mahweni are divided between city life and the savannah. And then there’s Ang, part of the Lani community who immigrated over generations ago as servants and now mostly live in poverty on Bar-Selehm’s edges. When Ang is supposed to meet her new apprentice Berrit, she finds him dead. That same night, the Beacon, an invaluable historical icon, is stolen. The Beacon’s theft commands the headlines, yet no one seems to care about Berrit’s murder—except for Josiah Willinghouse, an enigmatic young politician. When he offers her a job investigating his death, she plunges headlong into new and unexpected dangers. Meanwhile, crowds gather in protests over the city’s mounting troubles. Rumors surrounding the Beacon’s theft grow. More suspicious deaths occur. With no one to help Ang except Josiah’s haughty younger sister, a savvy newspaper girl, and a kindhearted herder, Ang must rely on her intellect and strength to resolve the mysterious link between Berrit and the missing Beacon before the city descends into chaos. Perfect for old fans and new readers alike, High Stakes (Wild Cards) delves deeper into the world of aces, jokers, and the hard-boiled men and women of the Fort Freak police precinct in a pulpy, page-turning novel of superheroics and Lovecraftian horror. After the concluding events of Lowball, Officer Francis Black of Fort Freak, vigilante joker Marcus “The Infamous Black Tongue” Morgan, and ace thief Mollie “Tesseract” Steunenberg get stuck in Talas, Kazakhstan. There, the coldblooded Baba Yaga forces jokers into an illegal fighting ring, but her hidden agenda is much darker: her fighters’ deaths serve to placate a vicious monster from another dimension. When the last line of defense against this world weakens, all hell breaks loose, literally…. The Committee in New York sends a team of aces to investigate. One by one, each falls victim to evil forces–including the dark impulses within themselves. Only the perseverance of the most unlikely of heroes has a chance of saving the world before utter chaos erupts on Earth. Edited by #1 New York Times bestselling author George R. R. Martin, High Stakes features the writing talents of Melinda M. Snodgrass, John Jos. Miller, David Anthony Durham, Caroline Spector, Stephen Leigh, and Ian Tregillis. When Matt Johansson, a young New York actor, auditions for “Chapel of Ease,” an off-Broadway musical, he is instantly charmed by Ray Parrish, the show’s writer and composer. They soon become friends; Matt learns that Ray’s people call themselves the Tufa and that the musical is based on the history of his isolated home town. But there is one question in the show’s script that Ray refuses to answer: what is buried in the ruins of the chapel of ease? As opening night approaches, strange things begin to happen. A dreadlocked girl follows Ray and spies on him. At the press preview, a strange Tufa woman warns him to stop the show. Then, as the rave reviews arrive, Ray dies in his sleep. Matt and the cast are distraught, but there’s no question of shutting down: the run quickly sells out. They postpone opening night for a week and Matt volunteers to take Ray’s ashes back to Needsville. He also hopes, while he’s there, to find out more of the real story behind the play and discover the secret that Ray took to his grave. Matt’s journey into the haunting Appalachian mountains of Cloud County sets him on a dangerous path, where some secrets deserve to stay buried. Let the Dragon be drawn again on the winds of time. Patterns of the Wheel is an adult coloring book suitable for all ages featuring original art drawn from The Wheel of Time ®. Since its debut in 1990, The Wheel of Time by Robert Jordan has captivated millions of readers around the globe with its scope, originality, and compelling characters. Over the course of fifteen books and millions of words, the world that Jordan created grew in depth and complexity.Now for the very first time, fans of this astounding saga can color in the hues and vibrant shades of Robert Jordan’s most beloved fantasy world. Adorn the symbols of the Ajah and the patterns on Gleeman’s Cloak. Experience the peaks of Dragonmount, the depths of the Aryth Ocean, and other parts of the realm. Fill in evocative mandalas, depictions of Old Tongue, and an array of the Wheel of Time’s most well-known symbols and magical items. Designed by officially-licensed Wheel of Time artist Amy Romanczuk, Patterns of the Wheel features 40 drawings inspired by pysanky, a traditional Ukrainian folkart, to provide hours of delight for The Wheel of Time’s legions of fans.